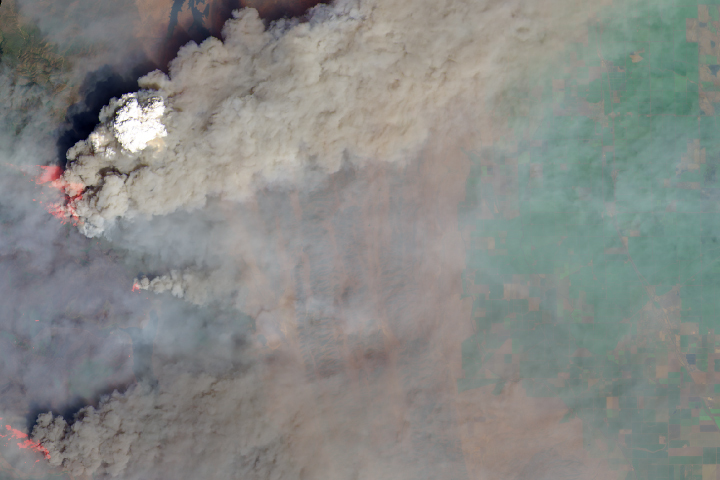 California has seen a range of natural extremes this summer, from heat waves to wildfires. The state can now add to the list record-warm ocean temperatures. 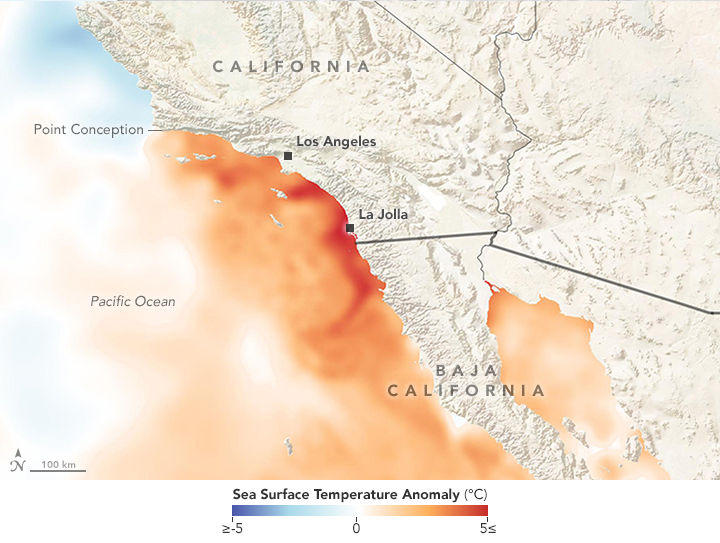 On August 1, 2018, researchers from the Scripps Institution of Oceanography observed water temperatures of 25.9 degrees Celsius (78.6 degrees Fahrenheit) along the coast at La Jolla, exceeding the previous record of 25.8°C (78.4°F) set in 1931. 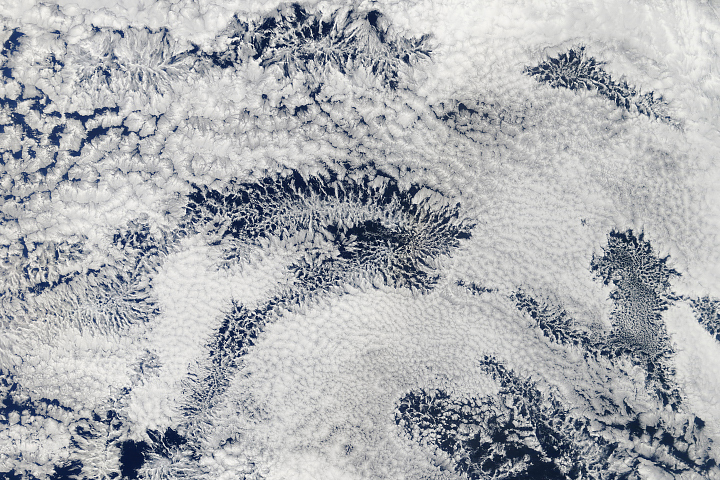 “The primary driver of these warm ocean temperatures is the persistence of continental atmospheric high pressure that has dominated western weather,” Patzert said. He explained that normally, high pressure over the eastern Pacific Ocean drives winds from the north along the California coast. These winds push coastal surface waters offshore, allowing cool waters from below to “upwell” to the surface and keep coastal California cool. This summer, however, a dome of high pressure over the continental west has dominated, causing coastal winds to blow from the south. 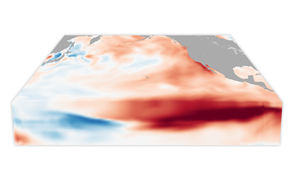 This pattern has sustained a cap of warm ocean waters from San Diego to Santa Barbara, preventing cool water from rising up. 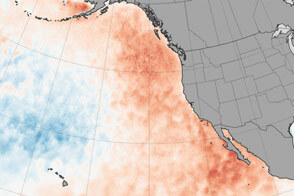 NASA Earth Observatory image by Lauren Dauphin, and sea surface temperature data from Coral Reef Watch. Story by Kathryn Hansen. 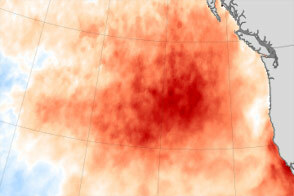 NASA Earth Observatory (2016, February 16) The Demise of the Warm Blob. Scripps Institution of Oceanography (2018, August 2) Highest-Ever Seawater Temperature Recorded at Scripps Pier. Accessed August 7, 2018. The San Diego Union-Tribune (2018, August 2) San Diego’s Scripps Pier records highest ocean temperature in its 102-year history. Accessed August 7, 2018. 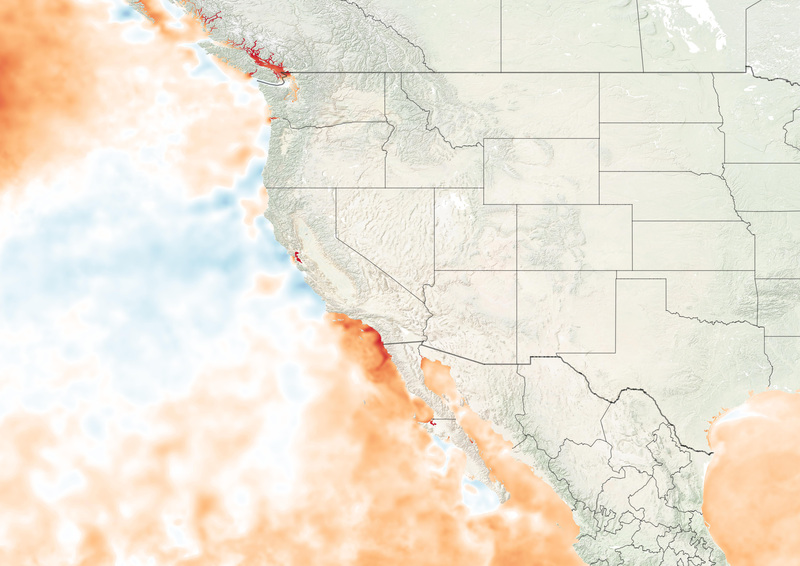 The San Diego Union-Tribune (2018, July 30) Satellite image captures the unusual warmth of San Diego’s coastal waters. Accessed August 7, 2018. The Weather Channel (2018, August 2) Southern California Water Temperatures About as Warm as They Get, And They’re Making Things Miserable. Accessed August 7, 2018.